Is Michigan’s UP Winter Culture Melting? In the Upper Peninsula, climate change is threatening the UP200, an Iditarod qualifier race. About two weeks before my trip to Michigan’s Upper Peninsula—or “UP”—I started calling hotels in and around Marquette, Munising, and Grand Marais. From Marquette’s historic Landmark Inn to the Ramada, everything was booked. It was my first clue to the kind of weekend I was in for. I called a cute, Scandinavian-themed B&B whose website advertised a room. A man answered. He was right. Every year, the UP200 draws seven to ten thousand visitors to the area. Its route showcases the rugged white terrain of winter in the UP. Dog sled racers, called mushers, race from west to east and back along Lake Superior for a total of 238 miles. Mushers come from all around the U.S. and Canada to compete in this Iditarod qualifier race. The local infrastructure of the smaller villages surrounding Marquette—the UP’s largest city—strains from the sudden influx of people, but locals rise to the occasion. The village of Grand Marais, which is the major turning point in the race, has a population of about three hundred. Still, every year at least a third of its residents volunteer to support the race and the attendees it welcomes to their village. In fact, volunteering for the UP200 is the first item listed under “volunteer opportunities” on the Grand Marais Chamber of Commerce website. When people think of North American dog sledding, they think Alaska and the Iditarod, known as “the last great race.” But dog sledding also boasts a large community in the lower forty-eight, especially in northern states like Minnesota, New Hampshire, Wisconsin, and, of course, Michigan. Left: Gregg Phillips, a veteran race veterinarian, at the UP200 vet checks. Right: Julia Cross, a sixteen-year-old Canadian dog handler. Photos by Molly Korroch. This year’s race marked the thirtieth run of the UP200, and the seventeenth time on its current route. The original route ran north to south in a loose diamond shape. 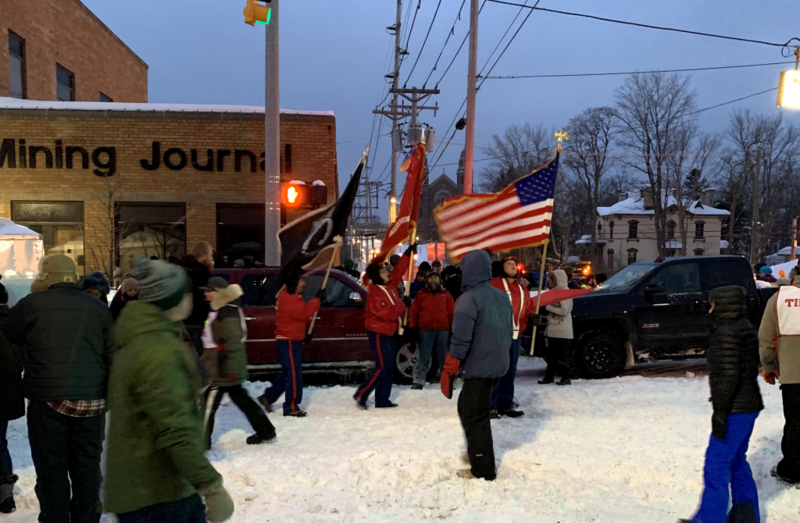 Mushers raced from Marquette down to Escanaba on Lake Michigan and then back up to Marquette, with a few checkpoints along the way. In 2003, race officials permanently changed the course due to the consistent lack of snow in Escanaba. The change may seem simple, but it served as a warning of times to come. Winter in what Michiganders call “Up North” is becoming increasingly unreliable. Like the rest of the world, the UP’s climate is heating up. Between 1973 and 2010, ice coverage in the Great Lakes declined by seventy-one percent. Heavy rain events in the Midwest now shed thirty-one percent more rain than they did fifty years ago. The rains not only replace the possibility of potential fresh snow; they also wash away the already-established packed snow and ice. In the short term, the lack of Great Lakes ice coverage can actually cause higher levels of lake-effect snow, which can negatively affect sports like sled dog racing. For this year’s UP200, officials moved the end of the race because heavy snow caused safety concerns. But in the long term, by 2060, unless climate change is slowed, some scientists predict Michigan’s winter precipitation will be mostly rain. 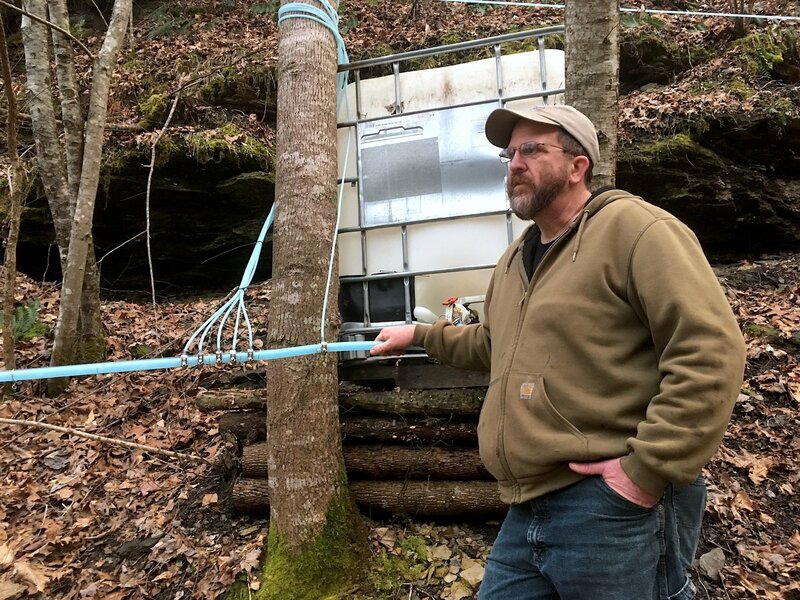 These changes will drastically affect local traditions like the UP200, unless mushers and locals are able to adapt. The UP200 is the heart of winter in Marquette. 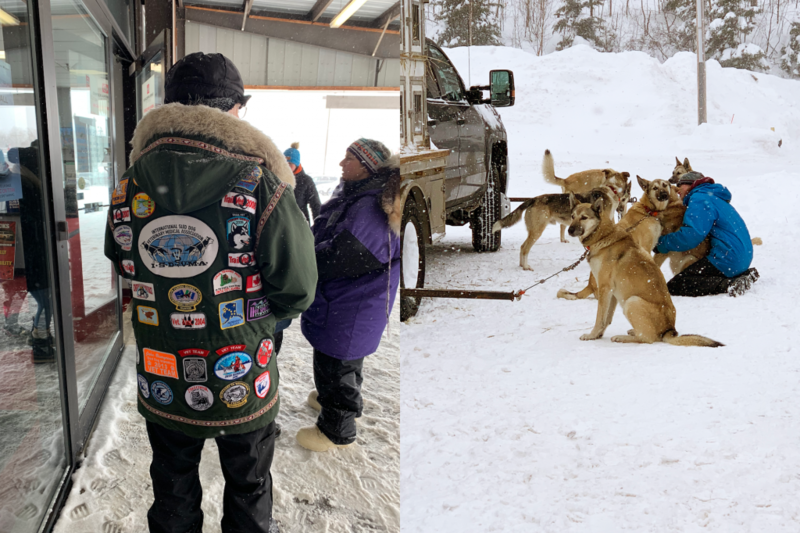 The mushers set off on a Friday night in mid-February, and everywhere I went that afternoon I stumbled upon something race-related. Down on Marquette’s main drag, West Washington Street, snow plows worked to re-cover the road with snow for the sleds’ take off start. 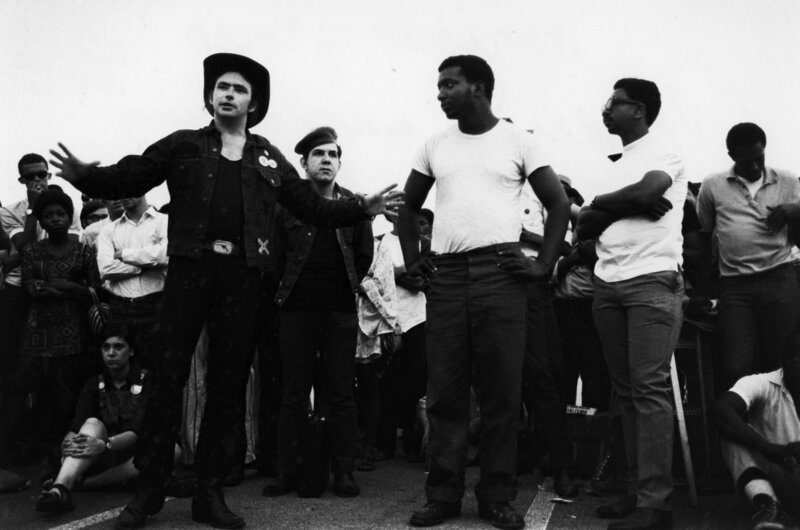 Volunteers lined the street with sawhorse barricades and bales of hay in preparation for the crowds later in the evening. 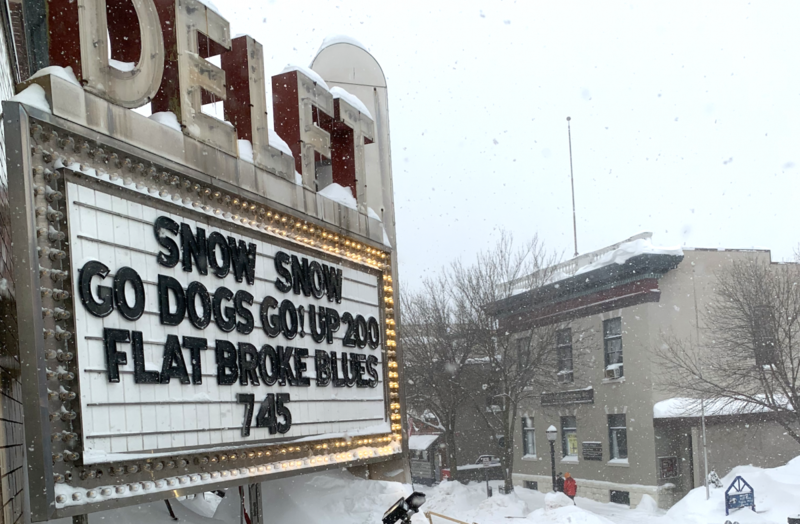 An old-fashioned marquee above the Delft Bistro read: “Snow Snow Go Dogs Go!” BabyCakes Muffin Company, a coffee shop down the street, served delicate pastries with sled dog themes. I overheard the baristas behind the counter laying out a plan for how to best serve the hundreds of customers coming their way. In order to qualify for the Iditarod, mushers must have raced a total of at least seven hundred miles in approved qualifier races. Two of those must be races more than three hundred miles long. 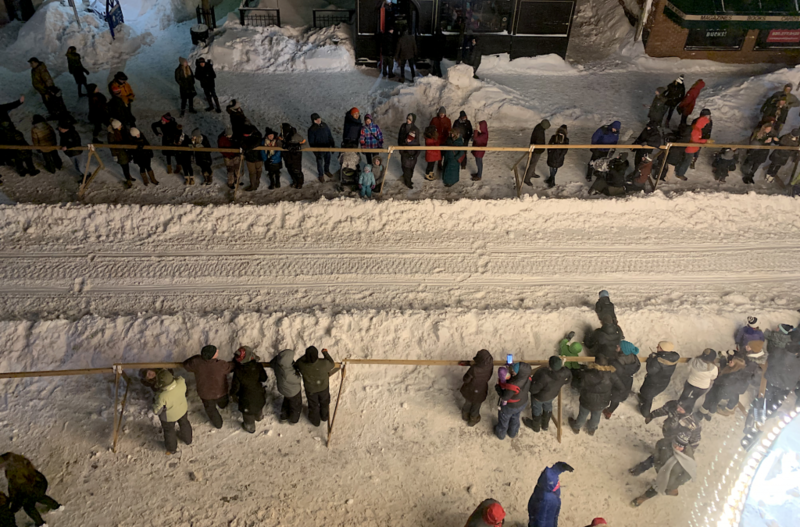 Over the last few years, cancelled or heavily-edited qualifier races have forced hopeful mushers to withdraw from their Iditarod goals. The musher community will sometimes throw together an unapproved replacement race, but that won’t help an Iditarod rookie. The Marquette Male Chorus (which sang both the Canadian and American National Anthems before the 2019 race) walks past the traditional start in front of the Mining Journal. Photo by Molly Korroch. Some of these shifts can appear innocuous. “Winter changes every year,” says Tasha Stielstra, former UP champion. She notes that it’s typical for the race routes to change a bit from season to season depending on temperature and snow levels. But while it’s true that no two winters are exactly alike, it’s also extremely difficult for humans to detect incremental changes over long periods of time. The last ten years may seem fairly consistent, but the last fifty are not. In 2017, National Geographic published a photo essay about the Iditarod, titled “Climate Change is Rerouting World-Famous Sled Dog Race,” which brought national attention to the long-term effects of climate change within the dog sled community. Races like the Iditarod, which span hundreds or even thousands of miles, have an easier time editing their routes than smaller local races, like Kalkaska and Tahquamenon, where there simply isn’t enough space to re-route. I first spoke with Laura Neese over the phone. The twenty-two year old is at the beginning of a promising career in dog sled racing. In 2014 she came to work as a guide for Nature’s Kennel, a tourism and racing kennel in McMillan, MI owned by former UP200 champions Ed and Tasha Stielstra. With help from the Stielstras, Neese has taken over the training and racing aspects of the business. Her record is striking. In the past four years, Neese has completed the UP200, the Iditarod, and the Yukon Quest, a thousand-mile race between Fairbanks, AK and Whitehorse, Yukon Territory, which the Anchorage Daily News touted as the Iditarod’s “colder, darker, and lonelier” younger sister. In 2018, Neese earned third place at the Yukon Quest. While dog sled racing is one of the only sports where men and women are on equal footing, Neese’s age certainly differentiates her from the pack. She’s often the youngest and smallest in the race, but what she lacks in long-term experience and innate muscle is made up for in other ways. For instance, she doesn’t have to focus on packing her sled with extreme efficiency like most other mushers, because, at five-foot-two, she doesn’t add much extra weight for her dogs to pull. Like all athletes, mushers play to their strengths whenever possible. When I spoke with her, she was in the truck along with her dad, a family friend, and, of course, her dogs, driving out to Idaho for the Idaho Sled Dog Challenge. The truck hummed in the background as we chatted about her trip to Idaho and the story of how she became a professional musher. Neese is an Ohio native, and her interest in mushing all started with a homeschool project about the Iditarod, when she was nine years old. Her curiosity snowballed into a full-blown passion, and she started her own kennel at the age of fourteen. This season, she was supposed to run the Yukon Quest again, but her plans changed when an accident spoiled all the food and supply shipments she had sent up to the Yukon. She immediately shifted gears and decided to instead enter three mid-distance races, including the UP200, the race in her backyard. On the morning of the race, mushers from the UP200 meet with race veterinarians for the required vet checks. This year, the vet checks took place in a used car dealership parking lot. I could hear the barking from across the street as I walked over in the snow. The air smelled like french fries from a nearby Wendy’s. Neese and her team waited for their turn. Young admirers came up to meet the dogs, and Neese squatted down to the same level as her dogs and the kids, a gesture that was half protective of the dogs, and half protective of the kids petting them. As I got to know Neese and learned that sledding had been her life-long dream, I found myself carefully skirting the one question I particularly wanted to ask: What’s it like to be newly professional in a sport that’s melting? Dog sledding isn’t a normal winter sport like skiing, or snowboarding, or bobsledding. The conditions are much more difficult to fabricate. I avoided the question. I knew the answer could be sad. Across the lake, in Wisconsin, Jan Bootz-Dittmar is a champion musher and the race coordinator for the Wisconsin Trailblazers Sled Dog Club. In her more-than-forty-year career of racing and training dogs, she’s closely observed the effects of climate change, race cancellations, and their impact on local communities. “It’s getting harder and harder to convince people ‘we’ll try again next year,’” she told me. Winter is becoming even more unreliable. In addition to dog sled racing, Bootz-Dittmar is also heavily involved with dryland racing—dog sled racing with no snow. “People run bicycles, scooters…three and four wheel rigs,” she says. Imagine a very muddy dog sled race where the sleds are on wheels. Bootz-Dittmar predicts that the sport will become increasingly more popular as a possible solution to the unpredictable winters. She may be onto something. 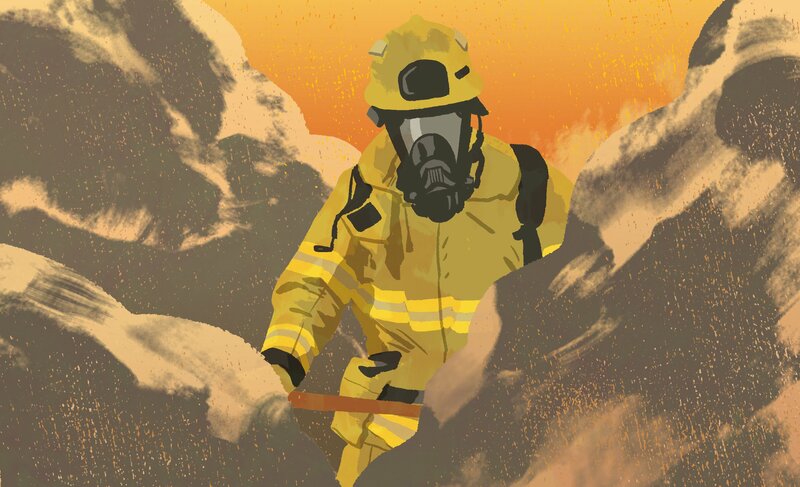 At the end of 2017, The New Yorker published a piece on dryland racing in the Midwest that was part of a larger series by Inside Climate News. Attendees at the start of the UP200. Photo by Molly Korroch. In my conversation with Darlene Walch, we discussed the possible future of the UP200. “I think you do what you can on a personal level to change things,” says Walch. The UP200 is starting to adopt that mantra with their approach to racing. Last October, the UP200 officials added dryland racing to its annual schedule of events. Molly Korroch is a freelance journalist based in Suttons Bay, Michigan.